The nominees for the 59th Annual GRAMMY Awards were announced earlier this week, and while there were some unforgivable snubs, the Recording Academy certainly got it right with their acknowledgment of BJ The Chicago Kid. The Chi-Town crooner scored three nominations for his In My Mind debut: Best R&B Album, Best R&B Performance for "Turnin' Me Up" and Best Traditional R&B Performance for "Woman's World." In celebration of the well-deserved recognition, BJ "just felt like singin'" and dropped a hot new track called "Uncle Marvin." 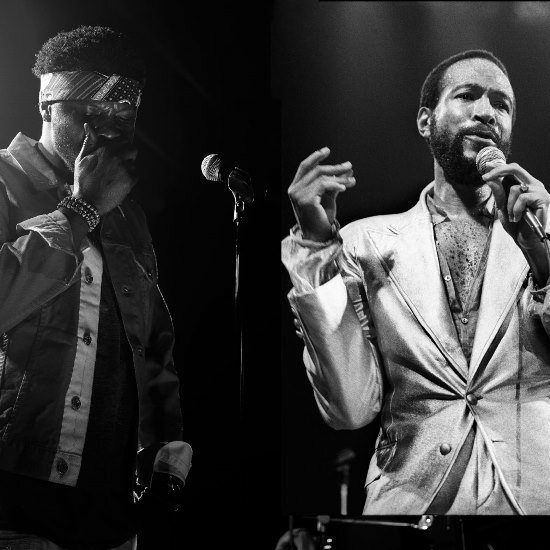 With a voice like his and the Motown imprint behind his album, it's no surprise that BJ's "Uncle" is none other than Marvin Gaye. BJ recorded a posthumous duet of "What's Going On" with the music legend that was released for the song's 45th anniversary this past summer. He recaptures that magic here, this time sampling Marvin's smoldering swag from "Cleo's Apartment." The heat emanating from the backdrop of bluesy keys and Marvin's effectual croon is enough to make us fan ourselves. But BJ's slow-burning vocals leave us downright thirsty as he serenades his woman in appreciation of her unconditional love. "Uncle Marvin" is currently available as a free download, so we suggest you grab it while you can. And if you don't already have a copy of In My Mind, re-evaluate your life head to your favorite digital retailer and treat yo'self.